Singapore – Mr. K.C. Moy serves in the Executive Management Committee and Board, as a Secretary member of Capella Hotel Group. Mr. Moy was instrumental in the development and growth of the company’s portfolio in Asia since 2009 when he joined Capella Hotel Group. His responsibilities include portfolio asset management, quality assurance and risk management. Headquartered in Singapore, Capella Hotel Group manages a collection of properties, each with its unique design and style, offering a memorable and curated guest experience. The group is a subsidiary of Pontiac Land Group, which owns and develops luxury commercial, residential properties and hotels in a number of international gateway cities and resort destinations. 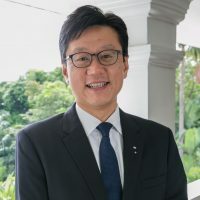 Prior to Capella Hotel Group, Mr. Moy served in senior executive roles at GE Capital and Citigroup as well as a stint in the family shareholding office of Pontiac Land Group. Mr. Moy holds degrees in Law and Economics. Australia and New Zealand – too late (or too early) to put in your money?